This is one of the easiest salads ever!! It takes only a few minutes to prepare and it’s amazing!!! The kale/avocado squeeze it’s perfect and the quinoa just brings it all together. I can’t recommend it enough and if by any chance you can’t find kale where you live, you can use spring green instead. Cut the avocado in half and remove the skin. Using your hands squeeze half of the avocado with the kale, give it a good squeeze. Cut the other half of the avocado in small cubes. Mix the lemon juice and zest with the salt and olive oil. 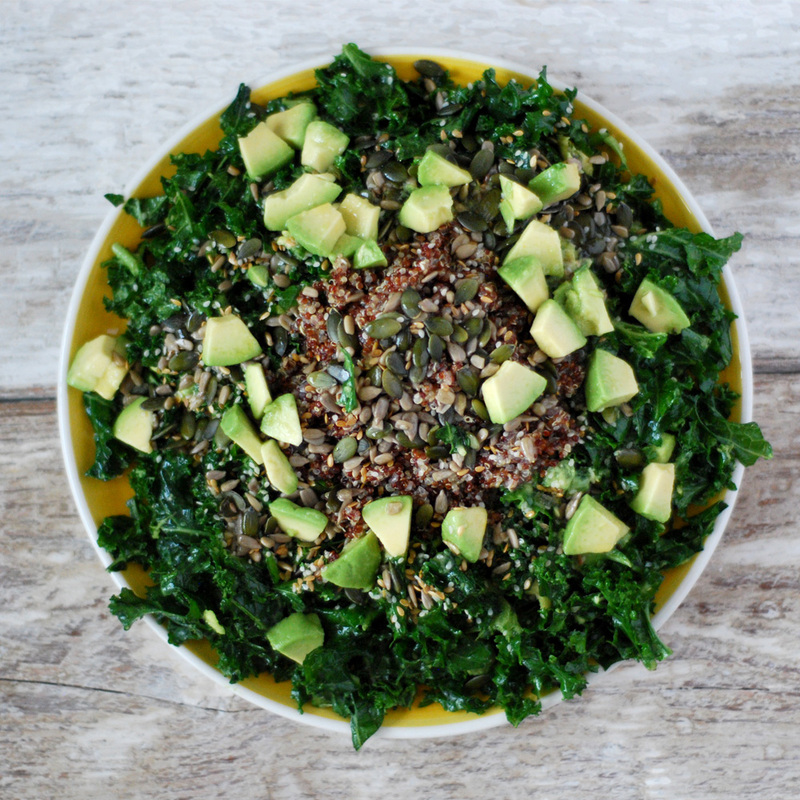 In a big plate assemble the kale, put the cooked quinoa in the middle and pour in the lemon sauce and avocado cubes. Sprinkle the seeds on top and serve.